Andrew Cawkwell, Partner in our Banking and Restructuring team, has been recognised as one of the country’s leading turnaround professionals at the prestigious TRI (Turnaround, Restructuring & Insolvency) Awards. He was up against three other specialists in the ‘Turnaround Practitioner of the Year’ category at the annual awards ceremony, held at the Hilton Park Lane Hotel London on Wednesday 19 October. 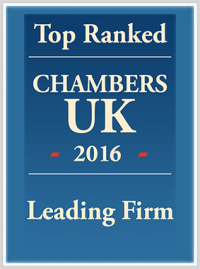 Andrew, who is a Certified Turnaround Professional, said: “I am truly delighted to have won this award, which was decided by respected professionals within the restructuring and turnaround industry. “I thoroughly enjoy every aspect of the work I do helping breathe new life into businesses so to be recognised for doing something I love makes this win all the more rewarding. 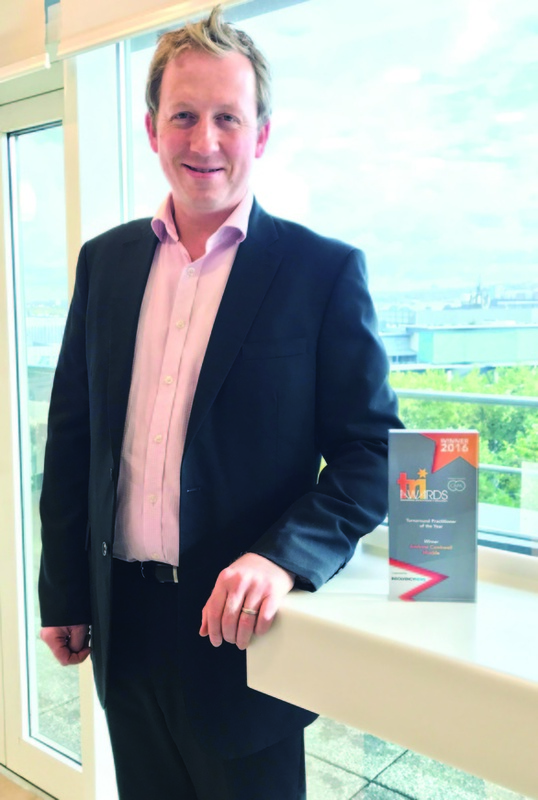 Andrew, who has been with leading North East law firm for businesses, Muckle, for five years, claimed the coveted prize thanks to a number of significant turnaround projects he has overseen in recent years. Most notably, his involvement in the rescue of Darlington Football Club, which had suffered three administrations during a ten-year period, and was ultimately brought back into the fans’ hands in large part thanks to Andrew’s expert advice and guidance. Andrew led a fan based consortium who purchased the business from the administrators in May 2012 before devising the community interest company (CIC) structure. He was both committed professionally and personally, even serving as a director of the CIC for a considerable period of time. Andrew has continued to support the club’s Board of Directors through a series of additional fundraising rounds and has played a key role in breathing life back into the much-loved football club. As well as successes on the pitch, the club has since returned to playing in its home town, attracted additional directors to the board and secured significant new sponsorship with Virgin Trains.